Devils Canyon is here, and well honestly has been here for a while but upon starting the writing for this article I struggled alot with how to start it as like we have seen many times recently with Intel, this is another refresh which too many raises the question of “Why bother” when we can just wait for the next-gen part for major changes. Well of any refresh in quite some time that I have seen this one promises to bring some real changes and even more so real proof that Intel does listen to its customer base and implements things to make that user base happy..
One way we had proof of this “listening to customers” can be seen some time ago when they announced the enthusiasts protection plan where you can pay a nominal fee and you are protected even while overclocking or any other activity pending you do not cause physical damage to the chip via negligence or simple recklessness. Then again some had to question why this was needed since Intel made chips with unlocked bus multipliers yet “technically” if you overclock them or use aftermarket cooling you void the warranty so I kinda play the devils advocate on this one and say “Hey I don’t mind paying the few extra bucks for the protection rather than sitting on the phone with support and pretending I did not torture the chip and lying through my teeth to get a RMA, so I guess you could say that I’m paying for that warm fuzzy feeling of knowing I’m being up front…. and I guess that’s more of a question of what is it worth to you for your integrity. Now that I have completely derailed the new Devils Canyon article I guess its time to veer this ship back on course. 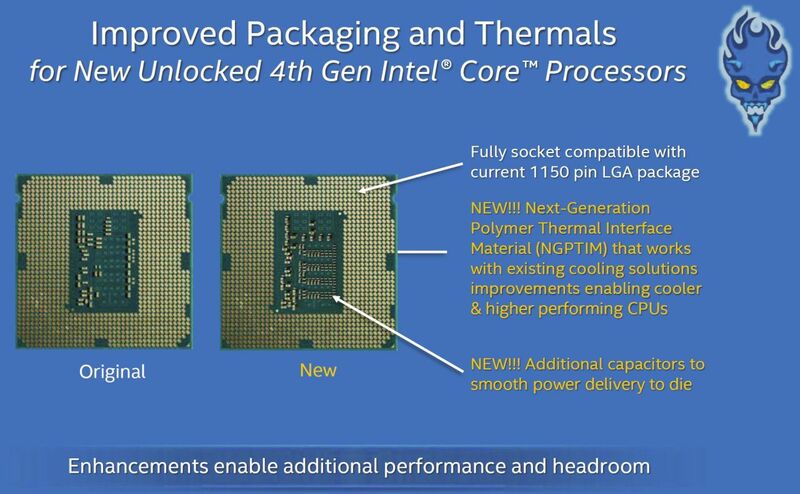 Now to present day Ivy Bridge came out and was some pretty hot runners, then Haswell came out and there was mass hysteria about the hotter running chips due to the quality of thermal material used between the die and the IHS. Well there’s not alot you could do about that unless you wanted to remove the IHS or “Delid” the CPU and replace the TIM and thereby void your warranty all in the effort for acceptable temps and better performance. 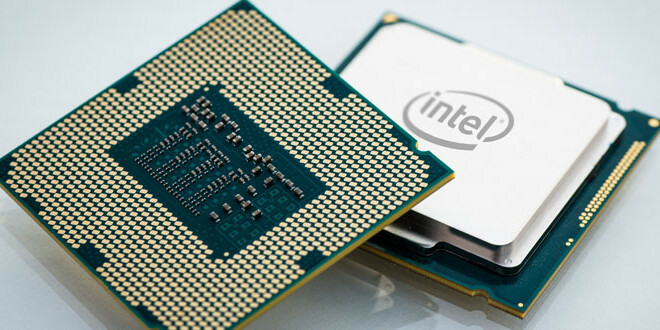 Well with that on the new Devils Canyon chips Intel instituted a new TIM which is said to drastically reduce temps and also included additional capacitors on the lower side of the CPU to ensure smoother power delivery to the die which is claimed to help with overclocking stability and performance overall. If you look above you can see the old vs new comparison from 4770K to 4790K with the extra capacitors in place. There is one more thing worth mentioning and this is the fact that the new 4790K comes out of the box with all 4 cores with HT at 4.0GHz base clock speed and can turbo up to 4.4GHz depending upon loading, This makes the Devils Canyon refresh one of the largest performance jumps we have seen in at least the last few generations. 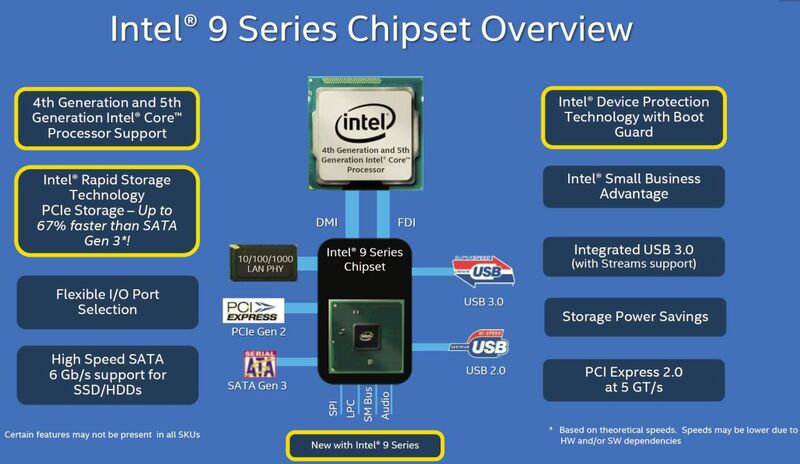 Now before we dig into the 4790K further and its performance data lets take a look at the new Intel chipset as well. As everyone knows Intel for the most part has stepped away from the desktop board market and our Z87 board we received was the very last in a long history of stable but feature lacking boards. I think I have covered this previously saying that I do think this was a good move by Intel as they simply could not compete in the board market and unless they were to start partnering with one of their board partners eventually it just simply would not be something they could ever excel in. And well lets face it their core competency is in chipsets and innovation so leave the boards to the partners to squabble over market share and put more resources toward the innovation of new feature sets and components which can add value to the end-user when upgrading platforms. The Z97 Chipset or 9 series in general is actually very much the same as Z87 with only some minor refreshes in terms of some technology support. Things such as SATA Express, various protection technologies but I think the biggest change is in terms of storage implementations and with the new M.2 SATA and the SATA Express that in itself is actually a very powerful upgrade, even if at the time of writing SATA Express storage is all but non-existent for consumers. This is more just being ready for the ongoing and supercharged march toward faster and faster interfaces. Since we did not get a board from Intel on this go around I kept it fair and did the launch article for the CPU with the first Z97 board I received on hand so that goes to MSI and their Z97 Gaming 9 motherboard so all tests will be run on this board for the performance section. However do keep eyes out for more boards later down the road so we can see how performance scales for this chipset launch. 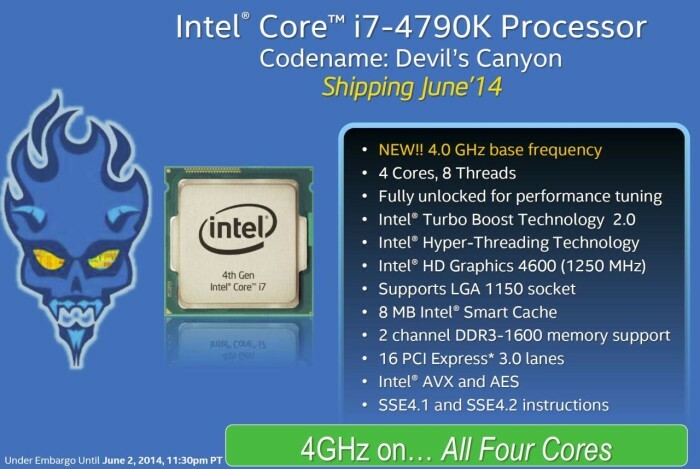 The new Devils Canyon is yet another 22nm model actually same basic die from the previous Haswell just with some extra goodies strapped on. The Caps on the bottom of the chip smooth out power and give it a cleaner power source to allow the much higher base clock speed to be out of the box stable and who knows maybe even lower operating voltages, but only time will tell. Here is the 4790K CPU and as you can see it is visually identical in every way to the previous 4770K model being pin to pin compatible and only way of differentiating would be the stamping on the top or the extra capacitors on the bottom. Here you see the major changes listed and of course the big stand out here is the 4GHz base frequency which is awesome and means excellent performance for a really powerful gaming rig. 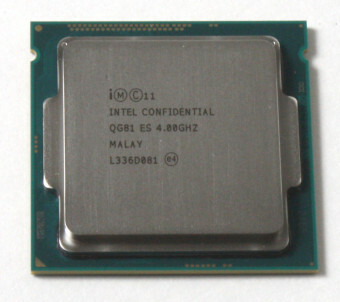 The integrated HD4600 is the same model in place on the 4770K model along with basically everything else in line with the previous gen chip. 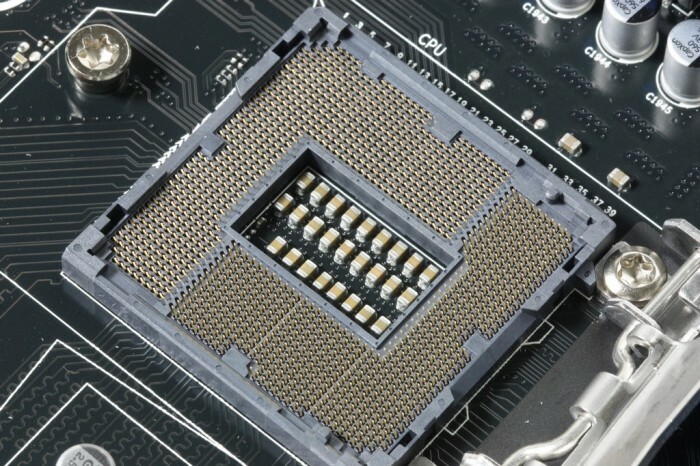 Here we have a view into the LGA1150 socket, using the ILM system that has traditionally worked quite well for keeping the processor firmly seated against the socket pins. Good pin contact is very important to ensure a clean signal transmission and optimal performance. Poor pin contact can cause heat and even damage so a proper socket/ILM setup is essential. You can see that the socket looks very similar to the LGA1155 socket, and if you were to count them there are just 5 pins less. For overclocking I did not simply rely on the sample sent from Intel but I spent a couple extra weeks testing retail processors performance for comparative purposes. Many times I get replies of ES being Cherry picked from the factory and therefore not representative of real world performance so I have some interesting data to share on this front. 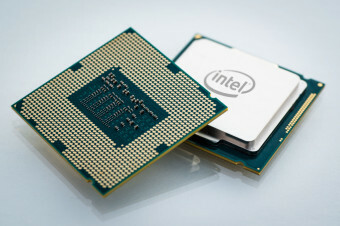 I’ll make this clear up front if Intel binned these chips before shipment then the people doing the binning are not that great as I tested 5 random pick retail from two etailers and even a local retail store just to test variance and 3 of the 5 exceeded the capabilities of the chip I got from Intel. This in all means that the argument of better performance from press samples can be canned, but also brings to light another issue which is the “CPU Lottery” we have seen in the last few generations where rather than having all the chips be really good and the board being the limitation or overclocking capability being the limit we ar enow faced with a game of binning to find a really good chip to be competitive. So now to numbers, I tested starting on air then moving to water and finally to LN2 to see what was possible with Devils canyon and well I will make one very clear statement right out of the gate and that is that so far subzero performance is a bit lacking on these chips at least from my limited sample range so far and while 4770K’s may have their flaws they definitely seem to be the better and more consistent cold performers. The Devils Canyon chips really seem to shine in the gamer region or enthusiasts level region where liquid cooling is employed as you can use an AIO and easily hit between 4.7-5.1GHz without too much hassle depending on quality of your chip. The chip I got direct from Intel as a press sample achieves full stability on water at around 4.75-4.8GHz and temps are not horrible but I had two retails that could do 5GHz and even to 5.1 with complete stability although temps definitely began to creep up. The voltage scaling for these chips is not linear and progresses at a curve with 4.7-Hhz really starting to ramp upwards, so in essence this feels kinda like we got Sandy Bridge back which is not a bad thing for gamers looking for a nice chip but for extreme enthusiasts at least at this time may be left wanting. It is worth noting that in the early stages of Z97 these boards are getting crazy amounts of BIOS updates so who knows what can happen if some magic firmware where to pop up but I’m sure if that happens we will come across that as boards trickle in to be tested. Memory clocking for the Devils canyon is standard for Haswell it works very well and you can have XMP sticks over 3GHz with ease. This is a major improvement for Intel and I give them a lot of credit for listening to consumers and fixing this issue as it really does make for a better user experience. For overall power consumption we loaded the board in stock form with the Discreet GPU (GTX 780) in use and tested overall platform power with both the main SSD in use and a secondary storage drive to simulate normal system configurations. Loading was completed by running Metro 2033 along with Cinebench for a heavy rendering load on the CPU. 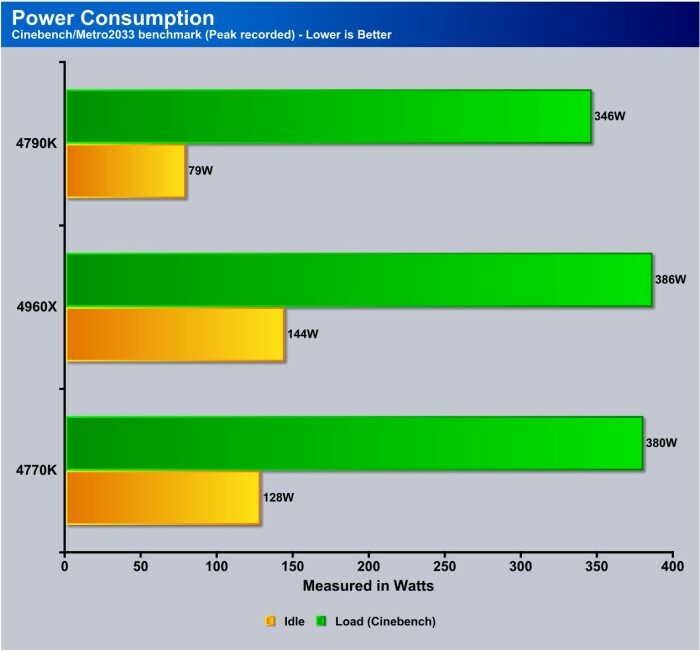 Here you can see that at stock conditions, the X79 chip simply pulls more power and the Haswell did a nice improvement on this but the real surprise comes to the Devils Canyon platform which at idle pulls significantly less than the 4770K pulling a full 50W less at idle than the 4770K. 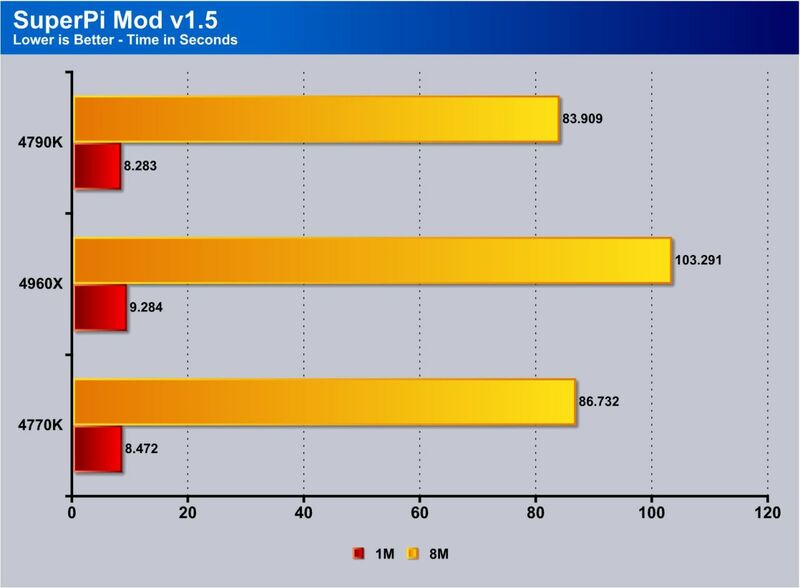 At first I thought this was a bug but tested across multiple chips still had the same result it does seem to engage the much lower power idle mode a lot more than the 4770K model does. 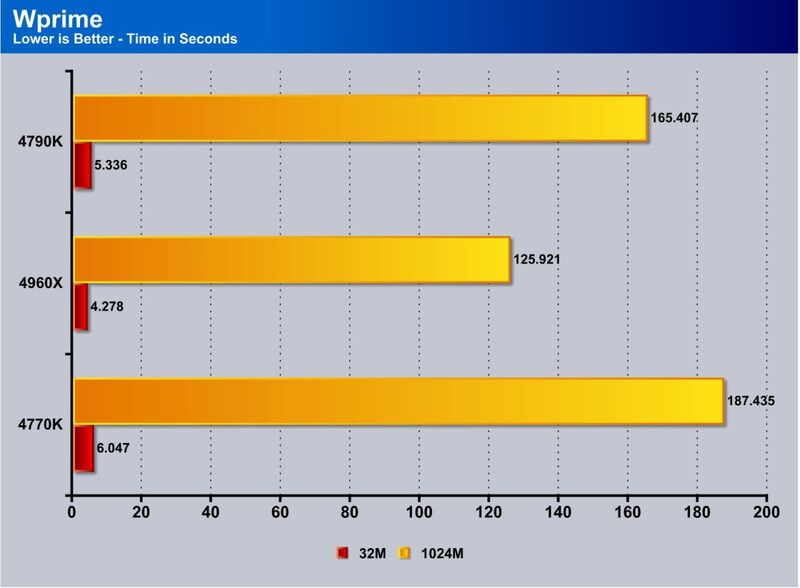 I will test this across more boards to see if we have similar activity but for this I would say well done to Intel as this means a gaming machine sitting idle or even surfing web will be much more power efficient. Prefetch tries to predict what users will load the next time they boot the machine by caching the relevant files and storing them for later use. We want to learn how the program runs without any of the files being cached, and we disable it so that each test run we do not have to clear pre-fetch to get accurate numbers. Lastly we disable Superfetch. Superfetch loads often-used programs into the memory. It is one of the reasons that Windows occupies so much memory. Vista fills the memory in an attempt to predict what users will load. Having one test run with files cached, and another test run with the files un-cached would result in inaccurate numbers. Again, since we can’t control its timings so precisely, it we turn it off. Because these four features can potentially interfere with benchmarking, and are out of our control, we disable them. We do not disable anything else. First up is PCMark and, well I was not surprised to see the result as clock speed is king here apparently showing some very fine results especially leaping ahead in the computation tests. Switching over to 3DMark with the GTX 780 in place you see that all chips being PCIe 3.0 the limitation really is in the GPU side as they all score quite close to each other. This tests single threaded performance and clock efficiency by processing digits of the number pi. 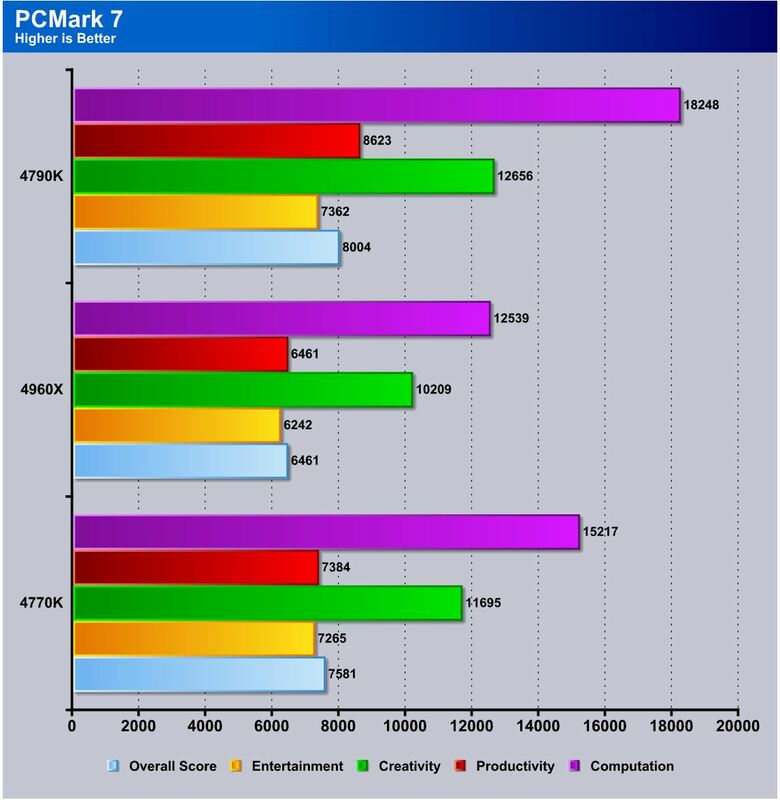 Previous gen showed some decent results as efficiency climbed up with the new architecture and now with the higher clock speed we see even better performance. WPrime is similar to Superpi, but is multi core aware and you can set the core count. We used 8 cores to take advantage of the 4770K’s HyperThreading ability. (12 for 4960X) Here you can see the frequency gain is definitely verified as a performance boost as Wprime sees some definite quicker calculation times with a big jump in the long 1024 test. Here you can see where the high-end rendering work can be done. The 4790K cannot beat up the 4960X for obvious reasons but with the increased clock speed it is easy to see why it lays a beating to the 4770K in comparison. Transcoding has become more popular now and the latest Sandy Bridge and on processors added support for AVX instruction for faster video transcoding. 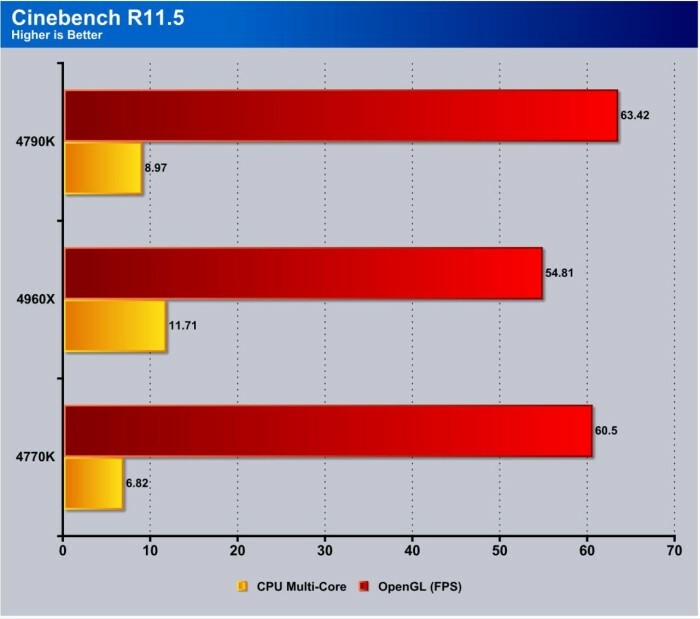 Just as we have seen major progressions in performance here as the faster speed allows even better performance but in terms of this the higher core/thread count of the 4960X still beats out the Haswell variants but for the price it’s still much more favorable to get a Haswell for this kind of usage. 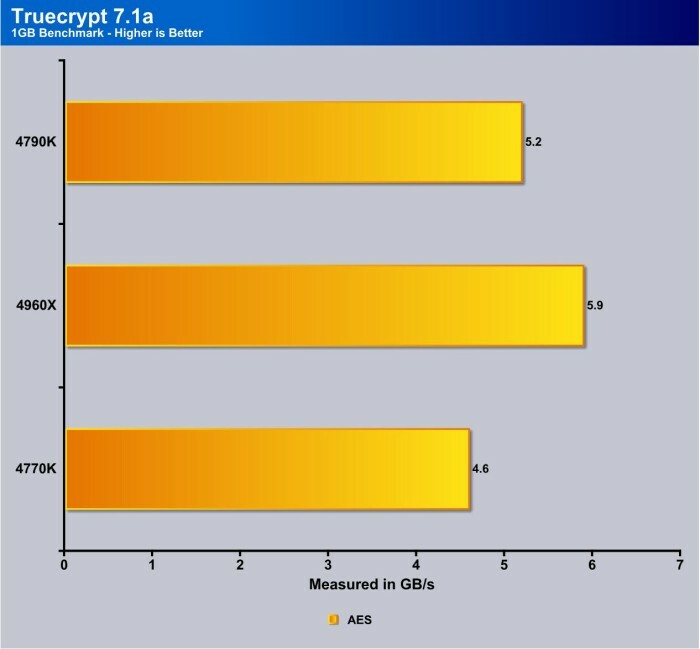 TrueCrypt is a real world application that gives a good indication of the true performance of our latest processor. 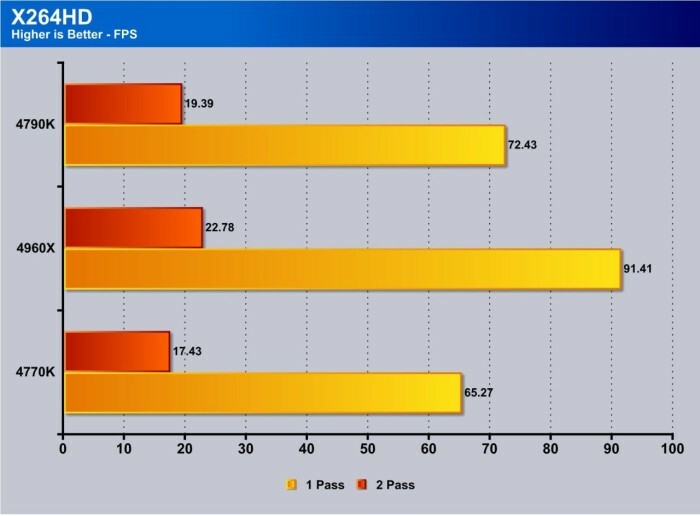 The AES capability helps push the performance higher in the encryption performance here but once again the higher core count still wins but not by a huge enough margin to realistically recommend the CPU that costs 3X as much. 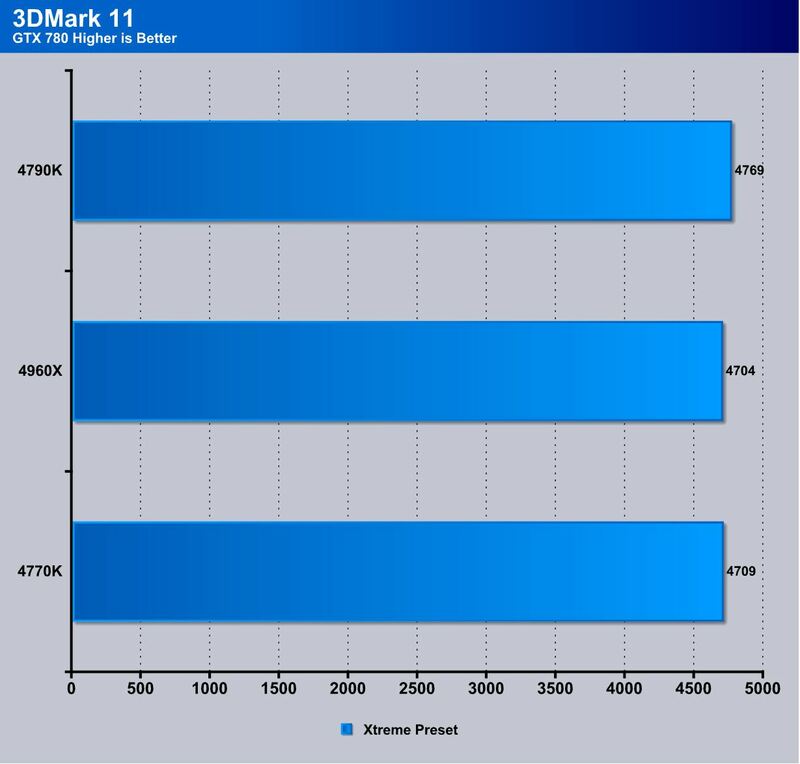 the 4790K definitely sees the fruits of the speed bump getting a very nice jump in performance here. Unigine Heaven on a discrete GTX 780 sees very similar performance as the 3.0 PCIe bus simply moves more than enough data at great efficiency that there is really no major advantage from extra threads here. The frequency does help a little bit but the margin is small. 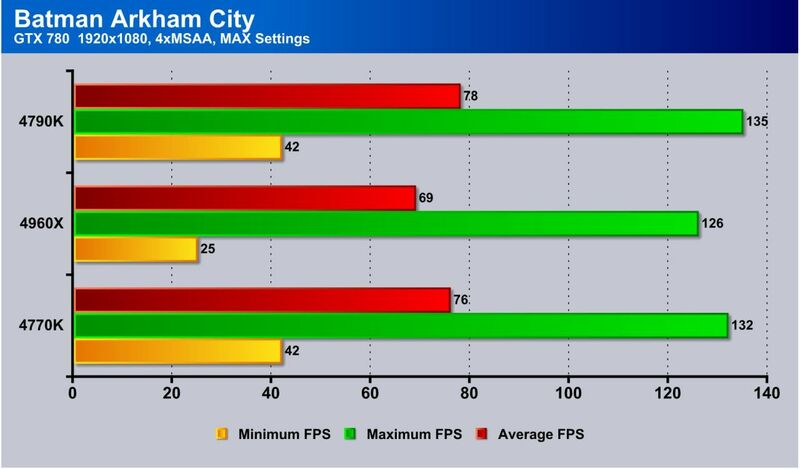 Discrete GPU results once again hover with not much gain but Batman definitely shows a bit more favor to the Haswell based CPUs. The Sniper Elite V2 results are not surprising as I have seen before that the game runs at such a high framerate it responds to speed bumps on the CPU side a bit more than other heavier loading titles. 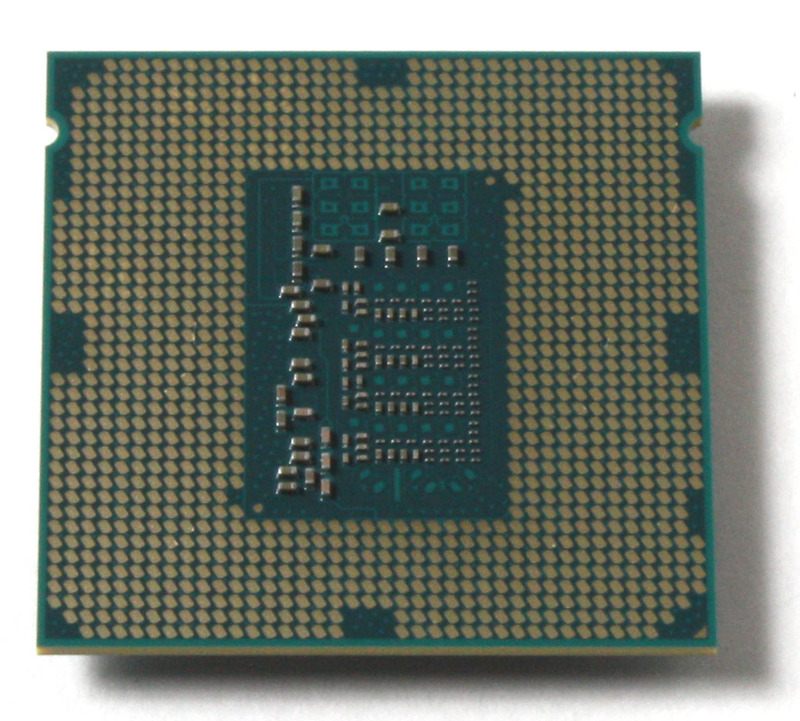 The New Devils Canyon CPU is a very nice upgrade to the Intel stable. 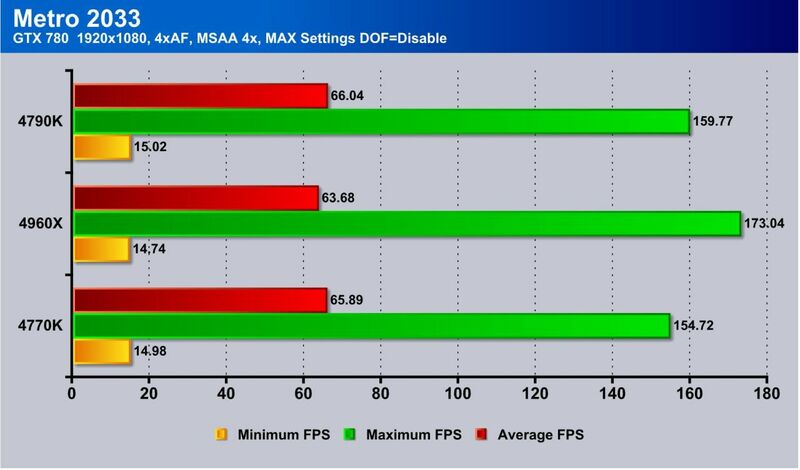 Bringing a default speed of 4.0GHz to the table and up to 4.4GHz means the need to overclock for a gamer is even further negated than we have seen before. The processor feels alot more stable and gamer friendly with the much lower temps thanks to the addition of the new TIM in place which once again I feel was a major good move by Intel to correct a very big issue. This allows even air-cooled gamers to now have an even more silent system while still offering blazingly fast performance. The other side of the coin on this point is that on extreme cooled efforts these chips seem to be less responsive and a bit less capable but I will wait for some BIOS revisions and more OC related boards to fully pass judgement on this specific issue. The new Z97 chipset doesn’t bring a lot to the table for your average gamer as it offers a few new technologies for high performance storage but I do question how much of that will truly be adopted by mass amounts of gamers since only recently as prices have dropped have I seen mass adoption of larger SSD drives by most gaming users. Another noteworthy value to this new platform is the power savings we have observed. I will examine this further as I test more boards but if this ends up being the trend I see no reason why anyone would not get one of these chips for a 24/7 build. The price being the same as the outgoing model makes this an easy decision for anyone looking to build a new high-end gaming rig or even a productivity rig on a budget. 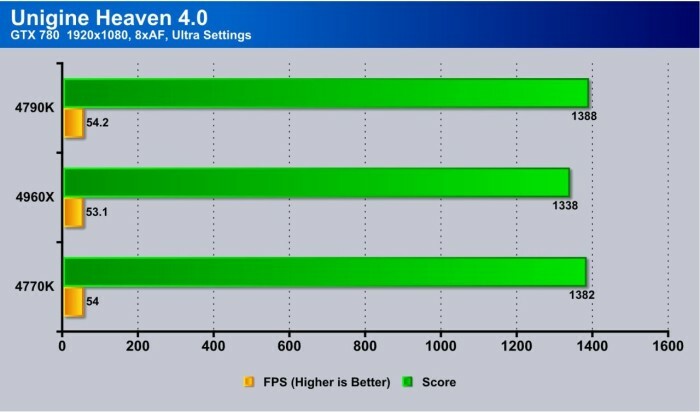 The Devils Canyon CPU is a very capable and super high speed processor that will make for one very amazing gaming platform, This kind of result makes me excited to see what comes next. Bit of a poor review imo. 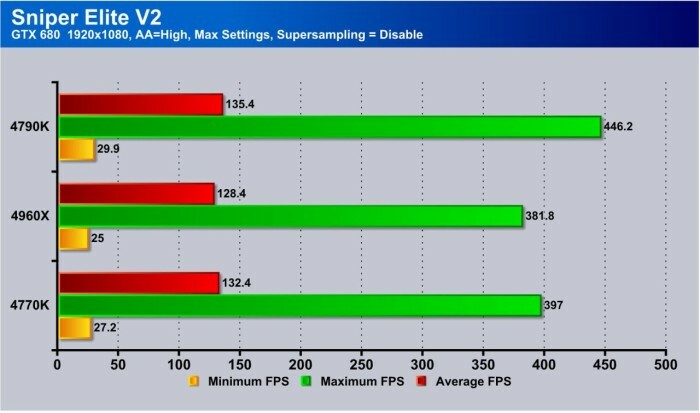 Where is the validation of the cpu’s running overclocked, where are the motherboard settings and voltages used!!! While I know that this review is nothing more than a Haswell refresh I for one would like to see more information on the overclocked settings used to get 5.0ghz-5.1ghz on the retail cpu’s that you tested…. I think the gist of the review is that Devil’s Canyon is a CPU that will not need to be overclocked. Stock clock is 4.0 ghz! Add a 400 mhz turbo (aka: overclock as needed), and what is not to like? my 4790k goes up to 4.6 without overclocking..Sabertooth Mark1 motherboard.Didnt do anything exept choose what bios choosed for me..I dont need to push it further i think..